The central limit theorem states that the sampling distribution of a sample mean is approximately normal if the sample size is large enough, even if the population distribution is not normal. Here are a few examples to illustrate the central limit theorem in practice. 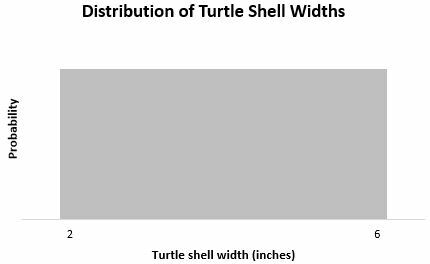 Suppose the width of a turtle’s shell follows a uniform distribution with a minimum width of 2 inches and a maximum width of 6 inches. 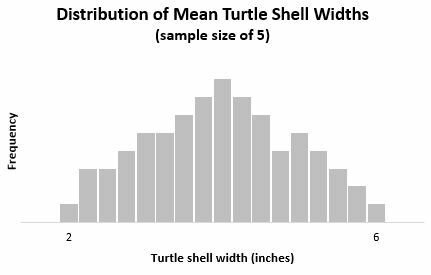 That is, if we randomly selected a turtle and measured the width of its shell, it’s equally likely to be any width between 2 and 6 inches. The mean of a uniform distribution is μ = (b+a) / 2 where b is the largest possible value and a is the smallest possible value. In this case, it’s (6+2) / 2 = 4. 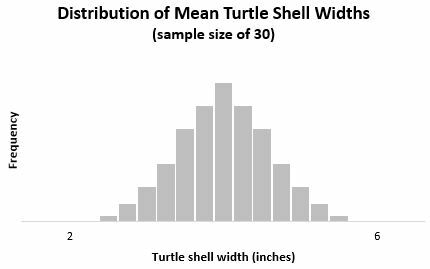 Now, imagine that we take a random sample of 2 turtles from this population and measure the width of each turtles shell. Suppose the first turtle’s shell has a width of 3 inches and the second has a width of 6 inches. The mean width for this sample of 2 turtles is 4.5 inches. 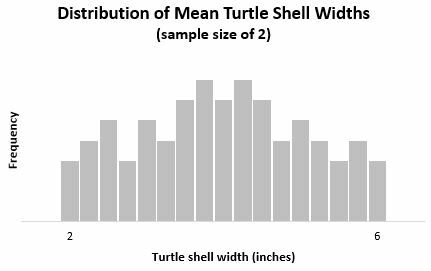 Then, imagine that we take another random sample of 2 turtles from this population and again measure the width of each turtles shell. Suppose the first turtle’s shell has a width of 2.5 inches and the second also has a width of 2.5 inches. The mean width for this sample of 2 turtles is 2.5 inches. Imagine that we just keep taking random samples of 2 turtles over and over again and keep finding the mean shell width each time. This is known as the sampling distribution for the sample mean because it shows the distribution of sample means. Now, imagine that we repeated the same experiment, but this time we take random samples of 5 turtles over and over again and find the mean shell width each time. Notice how this distribution has more of a “bell” shape that resembles the normal distribution. This is because when we take samples of 5, the variance among our sample means is much lower, so we’re less likely to obtain samples where the mean is close to 2 inches or close to 6 inches and more likely to obtain samples where the mean is closer to the true population mean of 4 inches. Now, imagine that we repeated the same experiment, but this time we take random samples of 30 turtles over and over again and find the mean shell width each time. Notice how this sampling distribution has even more of a bell shape and is much narrower than the previous two distributions. 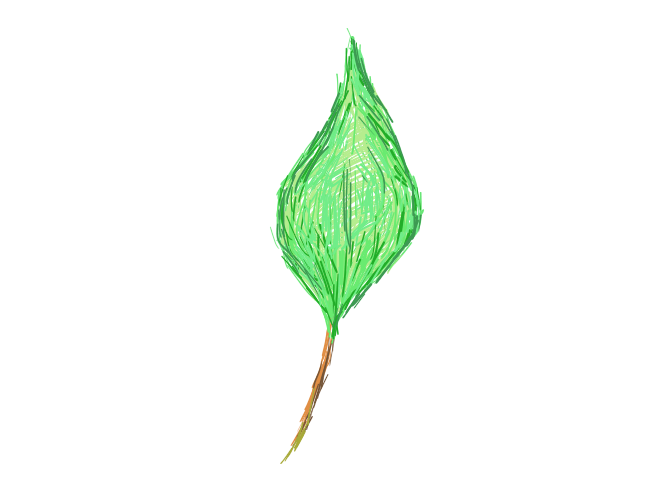 The mean of a chi-square distribution is simply the number of degrees of freedom (df). In this case, μ = 3. The variance of a chi-square distribution is 2 * df. 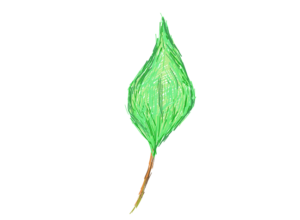 In this case, σ2 = 2 * 3 = 6. 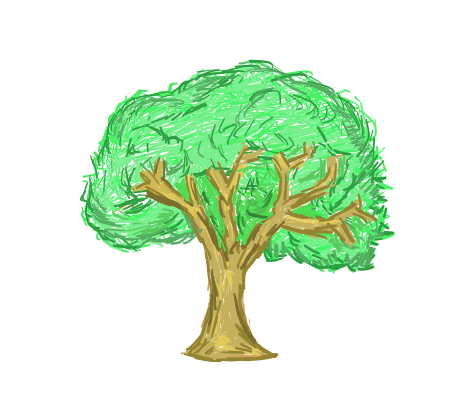 Imagine that we take a random sample of 2 families from this population and count the number of pets in each family. Suppose the first family has 4 pets and the second family has 1 pet. 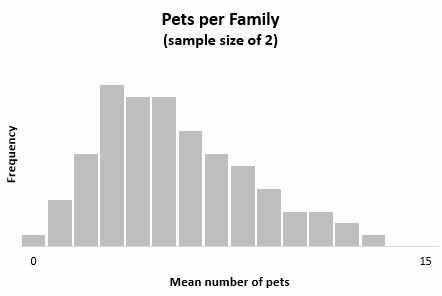 The mean number of pets for this sample of 2 families is 2.5. Then, imagine that we take another random sample of 2 families from this population and again count the number of pets in each family. Suppose the first family has 6 pets and the second family has 4 pets. 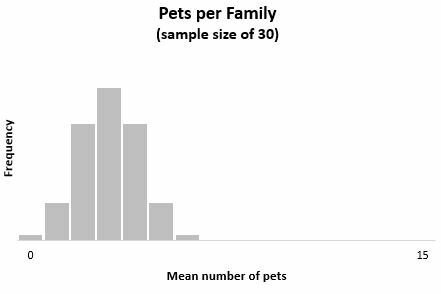 The mean number of pets for this sample of 2 families is 5. Imagine that we just keep taking random samples of 2 families over and over again and keep finding the mean number of pets each time. 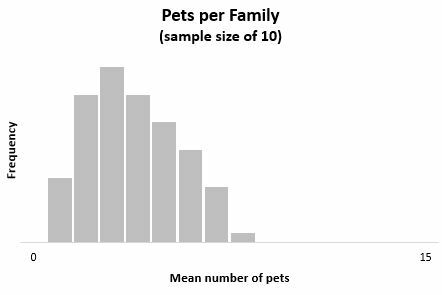 Now, imagine that we repeated the same experiment, but this time we take random samples of 10 families over and over again and find the mean number of pets per family each time. 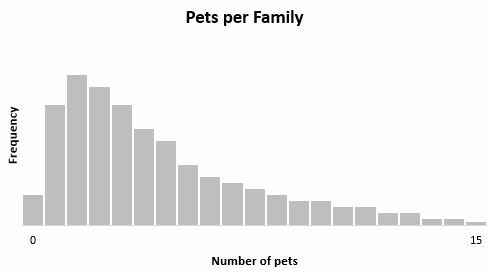 Now, imagine that we repeated the same experiment, but this time we take random samples of 30 families over and over again and find the mean number of pets per family each time. The sampling distribution of a sample mean is approximately normal if the sample size is large enough, even if the population distribution is not normal. In the two examples above, neither the uniform distribution nor the chi-square distribution were normal (they didn’t have a “bell” shape at all), yet when we took a large enough sample size, the distribution of the sample mean turned out to be normal. The larger the sample size, the smaller the variance of the sample mean. Recall that the central limit theorem states that the sampling distribution of a sample mean is approximately normal if the sample size is “large enough”, even if the population distribution is not normal. If the population distribution is symmetric, sometimes a sample size as small as 4 or 5 is sufficient. If the population distribution is skewed, generally a sample size of at least 30 is needed. If the population distribution is extremely skewed, then a sample size of 40 or higher may be necessary.